Skiing in April may be considered low season but that's not necessarily a bad thing. As long as you choose the right resort, a spring ski break can bring some huge advantages. So what are the perks of the spring peaks? Well as long as you don't ski over the Easter holidays, spring is not a peak time so you'll find fewer skiers on the slopes, which means shorter lift queues and more skiing time. Skiing in April is easier on the wallet – the price of a lift pass falls in spring and hotels battle for your buck so you'll find plenty of deals on accommodation. Beautiful sunny days and longer lift opening times are other advantages of skiing in April. And while April snow quality may not be quite as good as mid-winter, big snowfalls in April are actually very common. On top of this, you have a whole winter's worth of snowfall as a good base. The warm, sunny weather makes for ideal apres-ski conditions on the mountain terraces. You can also supplement your skiing in April with alternative outdoor activities, like walking, climbing and snowshoeing in the afternoons. Yves Ancrenaz, ski instructor and mountain guide at the ESF ski school in Chamonix, has some tips for those interested in spring ski breaks. Ancrenaz says, "Spring skiers should hit the slopes between 9 a.m and 1 p.m, not too early so to avoid the ice and not too late to get the best spring snow. 1 p.m is also a great time to have a lunch on a sunny terrace, but don't forget your sun cream." 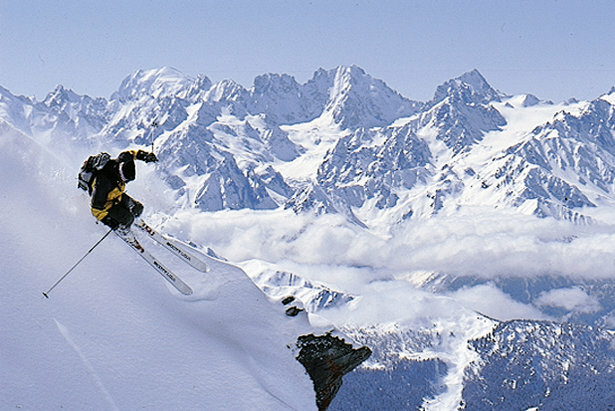 Brabin says, "A combination of any two of these factors normally ensures skiing success. Combining all three is a little tricky, because mountains tend to get lower the further north you go. 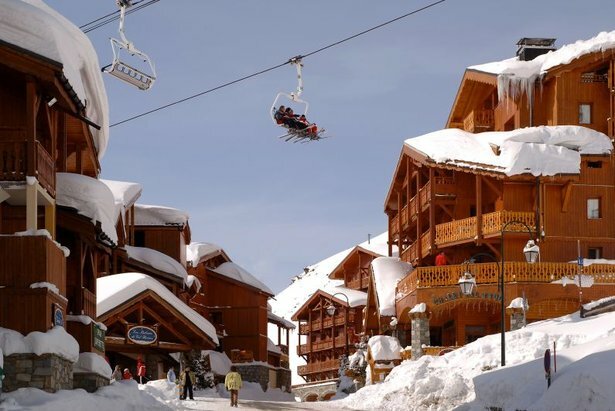 The higher the altitude of the ski area, the colder it is, and therefore the longer the snow lasts, so you should aim for resorts that have skiing at 2,000 metres or above and ideally with north-facing slopes or glaciers." The Espace Killy ski area stays open until early May so is definitely one of the safest bets for good snow cover in late season. 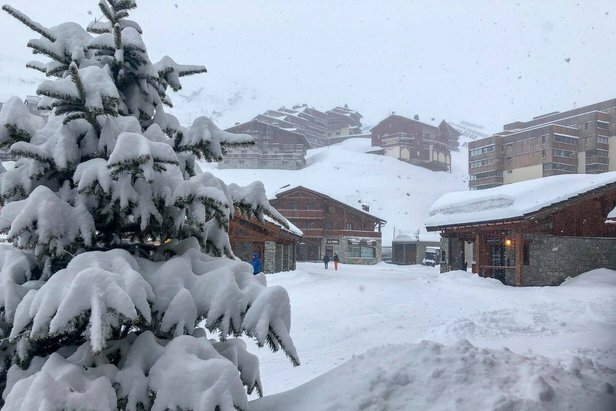 Val d'Isere benefits from its north-facing slopes while Tignes has high-altitude skiing on its Grande Motte glacier (3,400m) allowing it to remain open nine months of the year. The combined 300 kilometres of high-altitude slopes attracts everyone from families to freeriders. This is Europe's highest major resort and one of the most snowsure right from the start of the season through to May. 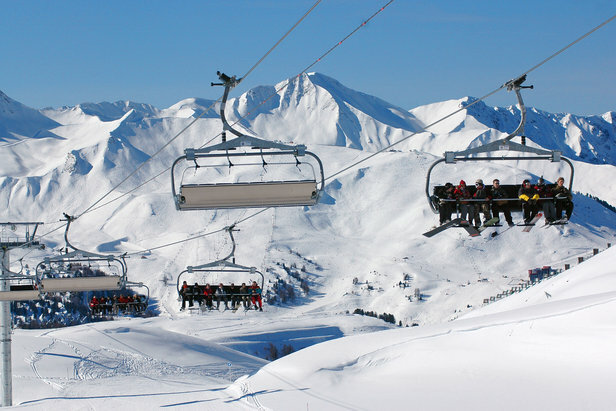 It is part of the huge 600-kilometre Three Valleys ski area and the majority of its slopes are above 2,000 metres. Having a glacier, which was formerly open for snow sports in the summer, is an added bonus. Val Thorens is so confident of its snow cover it offers a snow guarantee. 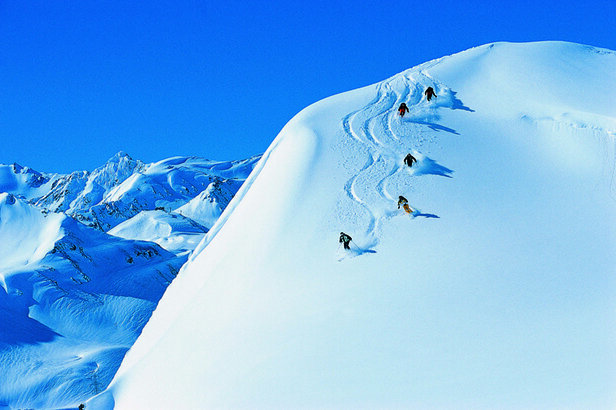 In the Arlberg region of Austria, St. Anton has an excellent snow record. It offers skiing from late November right through to early May. With many north-facing slopes, the resort manages to hold the snow well despite the strong spring sunshine. The south-facing slopes are supplemented by snow machines. This pretty town boasts some of the best freeriding in Europe and some fo the most energetic apres-ski. It also starts and ends the ski season with discounted rates on lift tickets during Snow Crystal Weeks. Skiers slaloming over powder at St Anton, AUT. It is the highest parish in Austria with broad open slopes that merit a late-season visit. 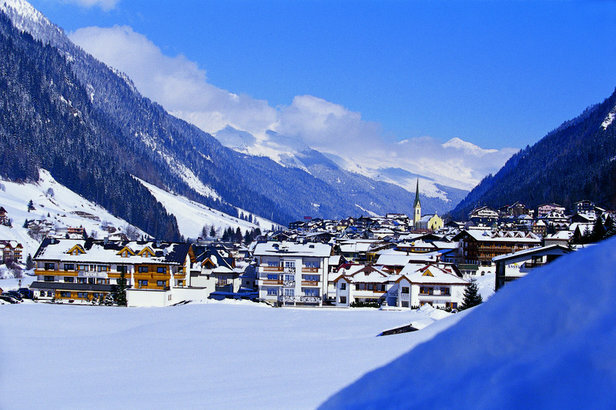 It is Europe's highest traditional village and neighbouring Hochgurgl is higher still. If you're looking for a pretty village with lots of snow in the resort itself, Obergurgl is one of your safest bets. 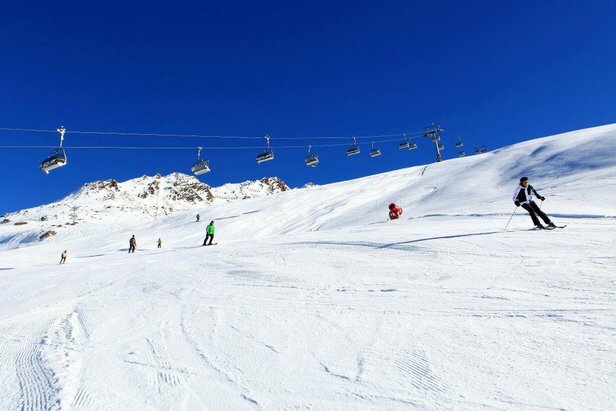 Ischgl is able to stay open until early May despite not having a glacier. The resort is high, and all the pistes (except those into the resort) are north facing and above 2,000 metres, making for great snow quality. Ischgl also boasts one of the best terrain parks in the Alps and plenty of untracked off-piste. Each year Ischgl puts on its legendary Top of the Mountain Easter Concert, which is the biggest spring party in the Alps. This high resort is known for its good late-season snow. Despite having south-facing slopes, Verbier manages to retain good snow cover thanks to its extensive snowmaking installations, especially on the lower slopes. You can also find consistently good natural snow on the upper slopes of the Mt-Fort glacier. 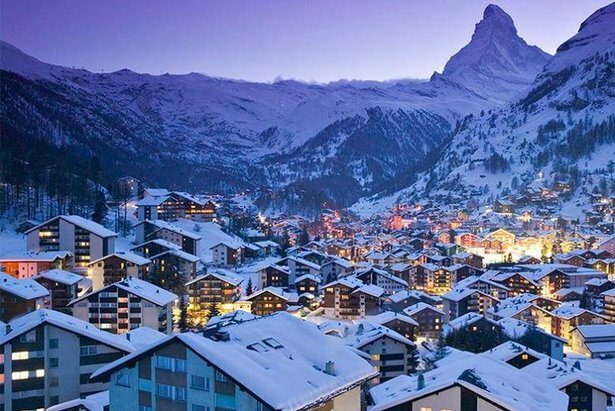 Home to Europe's highest ski lifts and the continent's largest glacier ski area, Zermatt is open 365 days a year. There can be few resorts in the world more snowsure than Zermatt. The famous Swiss resort has even invested in a new snowmaking system that can create snow within an internal chamber at positive temperatures before pumping it out on to the slopes. It's not needed in winter but the resort installed it in case there wasn't enough natural snow on the glacier in summer. The Paradiski area offers extensive, uncrowded skiing up to 3,250 with everything from tree-lined runs to glacier skiing above the clouds. Adventurous skiers can cover some serious ground (425 kilometres in total), but be sure to choose one of the higher villages in either resort for top-to-bottom skiing in spring. 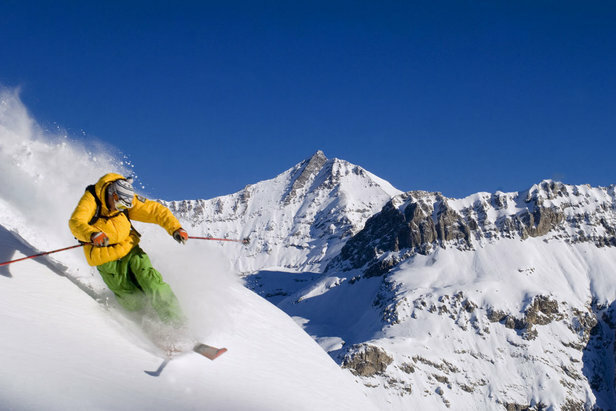 Glacier ski openings: Fancy skiing October half term? Ski and ride the Southern Hemisphere this summer with these top ski resorts in Australia and New Zealand.